The climate in Atlanta is generally warm, but temperatures occasionally dip below freezing. 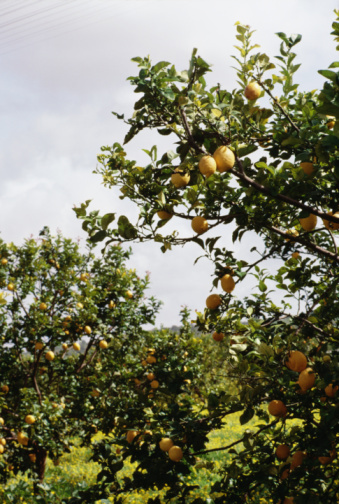 This climate is ideal for many types of fruit trees, but those that require mild winters may be killed during a hard freeze. Choose varieties that are cold hardy and do not require a tropical climate. Georgia has earned the nickname "The Peach State" due to the abundance of peach trees and the suitability of the climate for growing the fruit. Georgia's climate is perfect for peaches, as they require full sunlight for at least 80 percent of the day. Although they are hardy to around -25 degrees Celsius, their buds can be damaged by excessively low temperatures. Since Georgia rarely sees temperatures this low, it usually is not a concern. Georgia meets both the temperature and sunlight requirements for peaches, making it an ideal location for growing them. Apple trees are not native to Georgia, and not all apple varieties will grow in the Atlanta area. Because of this, choose cultivars carefully. Most crab apple species will grow very well in Georgia, as will the majority of heirloom apples. Pick varieties that are heat and drought tolerant but are also hardy in moderately cool winters. Pears are especially hardy in Georgia and grow successfully in almost all areas of the state, including the Atlanta area. There are established pear trees in Georgia that are 50 years or older and still producing fruit each year. 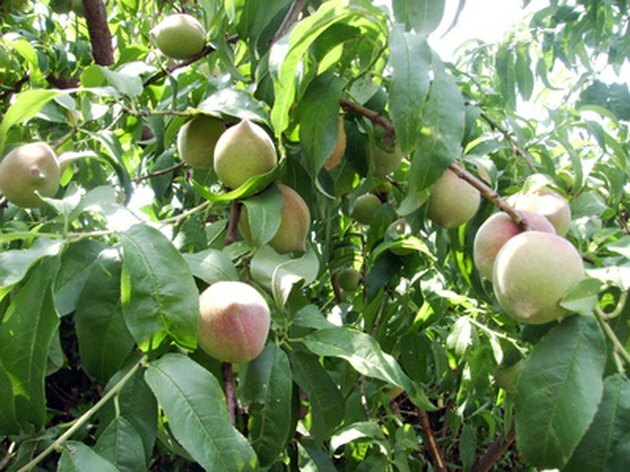 European pears cannot be grown in Georgia because of the possibility of fire blight, but Oriental Pears and Asian Pears will grow well. Avoid planting Bartlett pear trees in Georgia. Although Bartlett is the most common pear variety, it is not well adapted to the Southeast. While Atlanta's climate is not ideal for fruit trees that are native to tropical climates, such as mangoes, bananas and citrus, most other types of fruit trees will thrive in Georgia's warm climate and mild winters. Most varieties of persimmons, nectarines, pears and apricots will grow well in Georgia. If you need any help choosing a variety that will grow well in Georgia, contact your local Cooperative Extension office for assistance. Tara Walker has been a professional copywriter and Web writer since 1995, specializing in delivering high-quality, search engine-optimized content. Her work has appeared on Gardening Professor and many other Web sites. Tara is pursuing a degree in marketing through Ashworth College.